It’s amazing how you feel instantly relaxed and cooled the moment an ice cream hits your tongue and dissolves to slide down your throat. This appears to have been the original purpose of ice cream—to chill you down on a hot summer’s day—but as society evolved over time, so did ice cream. Ice cream isn’t just about cooling you off and satisfying your sweet tooth anymore; it’s now a spectacle of who can create the most imaginative of flavors and the most jaw dropping of shows. 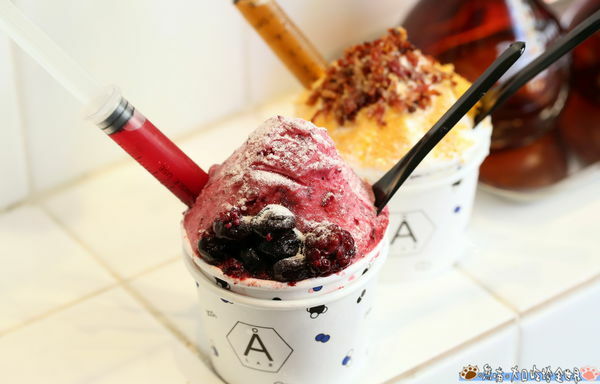 Here we’ve rounded up the top eight ice cream shops that are bound to catch your attention! Looking for an ice cream with an absolutely gorgeous wow factor? Although GLAM AIR serves up various types of ice creams, its Cloud Ice Cream is definitely the one that all the hype is about. Topped with multi-colored cotton candy, and doused with some liquid nitrogen for added effect and mystery, the Cloud Ice Cream stands tall and delicious. Alongside its cotton cloud wonder, GLAM AIR also serves up different flavors of soft serves, which you can devour in a regular cup or even in a taiyaki (fish-shaped cake). If you’re looking for a healthy yet deliciously unique kick in your average ice cream routine, lining up for 8%ice’s ice cream is definitely worth the wait. With 100 percent natural ingredients and fat that is controlled under 8% (hence the name), 8%ice serves an enormous range of flavors ranging from classic macha to the more intriguing ones such as Brown Sugar With Sea Salt or Earl Grey French Blue. With changes to the menu daily, the bourgeoise type flavors keep us coming back for more. Take a browse through the menu itself, and you’ll wonder how 8%ice managed to ingeniously concoct so many new flavor combinations with each one looking and sounding more delicious than the next. Delivering delicate yet rich taste, Milk Beard has earned itself much recognition for its holy marriage of honey and whiskey in the form of ice cream. This unusual combination allows for a surprisingly smooth experience, as the first bite of the soft serve creates a honey hug on your tongue before the richness of the whiskey cuts through. From its use of fresh milk, honey and Japanese whiskey, Milk Beard definitely delivers with the right quantities of each ingredient, creating a holy trinity of flavors. It’s been a while since soft serves became all the rave in Taiwan, popping up in convenience stores everywhere, but Honey Creme takes the average soft serve to the next level. Evident from the name of the shop alone, it’s no secret that Honey Creme prides itself in its honey comb ice cream, in which rich vanilla flavored soft serve is topped with an actual cube of honey comb. Honey comb itself is rare to find, and it’s a surprise to find it atop an ice cream—making it a sight for sore eyes and a taste for bland tongues. Rising high above the tea plantations of Maokang, experience the taste of tieguanyin milk tea through the unusual form of ice cream at 4H House after a scenic ride up the Maokong gondola. The flavor balance is perfect, providing your taste buds with an adventure through the flavors of tieguanyin milk tea. Surprisingly enough, this simple ice cream provides a punch as the milk flavor doesn’t overwhelm the tea. The taste itself mimics the tieguanyin milk tea and gives us a new way to enjoy the delicious drink on a hot summer’s day. In the mood for something less heavy on your stomach? OVOV’s gelato is bursting with natural flavors of forest berries and coconut lychee. Aside from its range of fruit-flavored gelatos, OVOV also offers more daring flavors such as chocolate and chilli, a lethal but well-loved combination. Toppings are available at OVOV and range from oreos, berries to even Ferrero Rochers. Perhaps the best thing about OVOV is that you can ask to try each of the flavors before you decide to take the plunge, so taste away! The store’s design from the outside to inside is perhaps one of the classiest in Taipei, ringing true to gelato’s Italian roots. Famous for selling the Dawn Cake’s famed pineapple cakes, Gong Yuan Eye Clinic in Taichung also offers a wide range of ice cream. The renovated eye clinic, with its unique interior and exterior architecture, houses an assortment of ice cream flavors split into three sections of fruit, chocolate and tea, with your own choice of toppings for each scoop—the best of which are actual pieces of pineapple cake. If you’re looking for delicious flavors such as lychee or tea and love strolling around in historic and artistic places, Gong Yuan Eye Clinic’s ice cream sure meets the brief. The store itself may not be large, but its concept and creativity sure are. Tucked away at Fengjia Night Market in Taichung, Å LAB has the most innovative and unique way of not only serving its ice cream, but making it too. Ice cream is made to order with chilling liquid nitrogen at -200˚C in a giant spectacle of speed-mixers and servers dressed in lab coats. Finally, the ice cream is served in different ways depending on the flavors, such as cotton candy or creme brulée, and topped with a sauce-filled syringe! Å LAB sure doesn’t disappoint when it comes to creating an entertaining show.